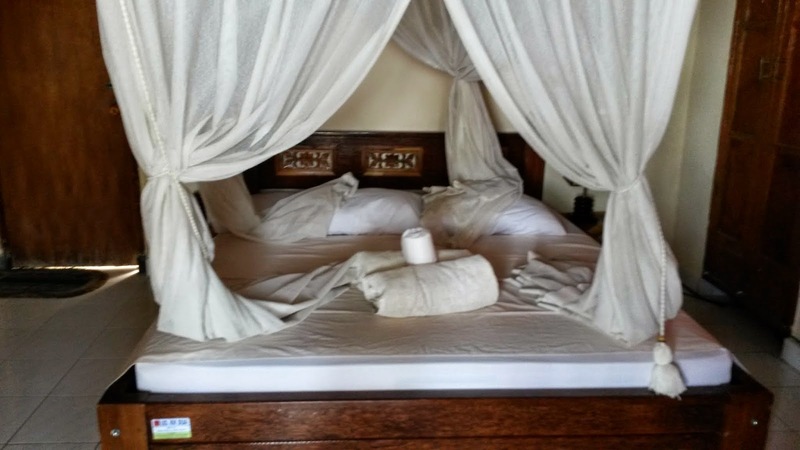 Fortunately, learning from my year long experience, I didn't plan anything more than my first two nights in Ubud. 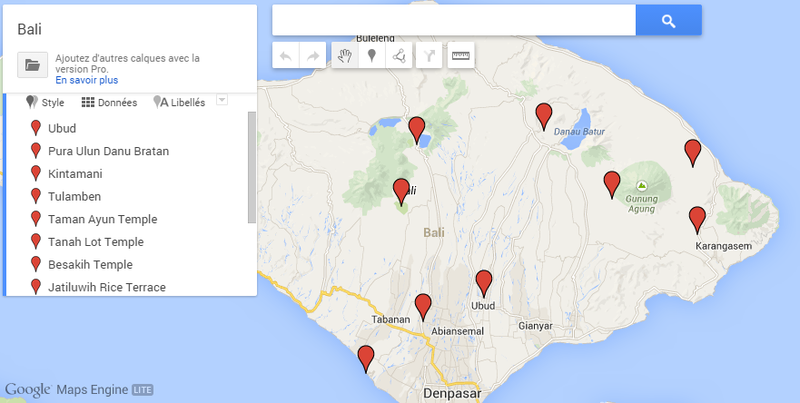 And from Ubud, you can basically connect all the dots, so that's what I did. 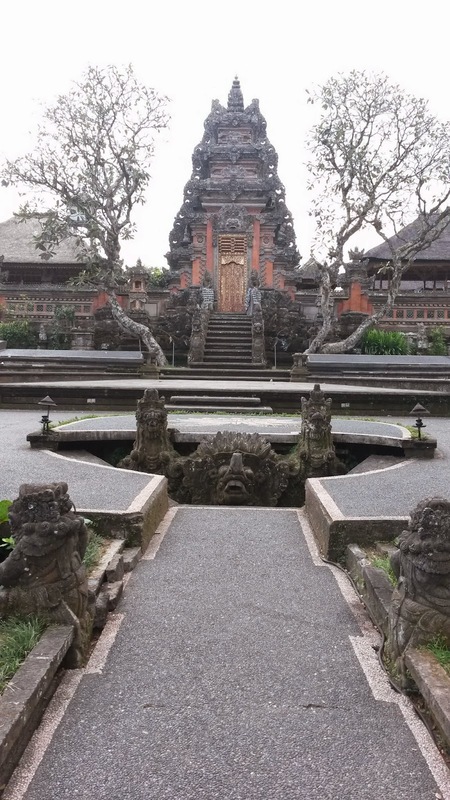 I arrived late on day one, 2h30 from Darwin, but on day 2, where I could walk around Ubud, I managed to plan nearly all the things I wanted to see. Mawar, the homestay manager I was staying with, gave me the contact of a chauffeur to see Taman Ayun and Tanah Lot, and after a short walk, I had already booked my sunrise trek to Mount Batur. But let's do things in order. and then the Royal Palace not too short a distance away. After I came back, my chauffeur took me first to Taman Ayun, then Tanah Lot. Taman Ayun is a nice little temple that, like most temples in Bali, you can't see the core of, so there is a path when you walk around the temple. When I was there, there was apparently some construction to make the park around more pleasant. Be careful though, the path around has a wall, and as a 154 cm person, that was kind of hard to see the whole picture. 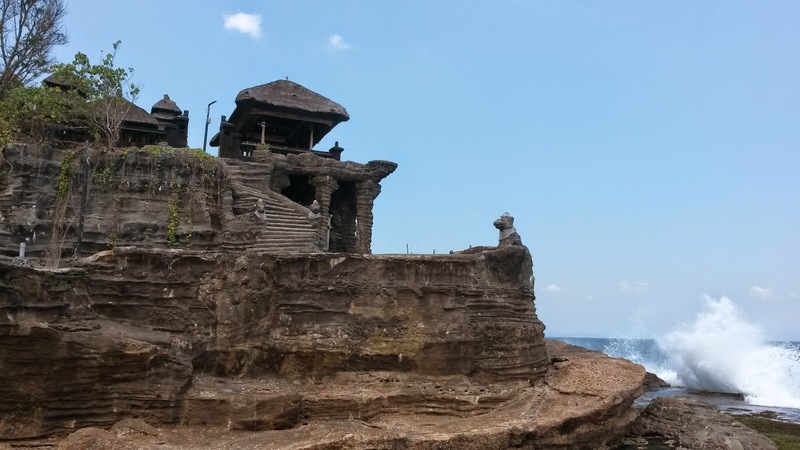 As for Tanah Lot, I was pleasantly surprised, as I was expecting an artificial temple just set for tourists, which it is, but the surroundings make it worth a visit, especially NOT during the sunset. Go there in the morning or early afternoon, as it is less busy, and with the low tide, you can actually get close to the foot of the rock. Day 3 was the sunrise trek of Mount Batur, that you can do from Ubud, provided you are ready to get up at 2 AM. The ascension lasts around 2h, and like any other volcano trekking, can be a bit difficult, particularly in the end, but the scenery at your feet and the sun rising makes it all worth it. On the way back, the chauffeur got us through the Tagallalang rice terraces. They were really nice, cascading right in front of the village - and honestly, rice terraces abound in Bali, and not just in the places you have to pay to see them, so you will have your fill of rice terraces by the end of your trip. Back in Ubud at 10 AM, I followed the advice of the french couple we did the ascension with and took an hour of Balinese massage at Lily Spa, on Bisman Street. After some good relaxation, good food, and good shopping at the Ubud market, I finished the day with a Dance show at the Ubud Palace. This is a very special experience, even when you are lacking knowledge on what the story is about and how it is expressed through dancing. The female dancers were particularly graceful and expressive. Today was the part with Jatiluwih and Lake Bratan temple. 7 km before arriving at the rice terraces, you suddenly see that majestic mountain facing you, and then you arrive at this wonderful place where all you can see is the green of paddy fields. This is the paradise of panoramic photography, as the scenery is just too much for a simple picture. Be careful, the locals are a bit weary of tourists, so make sure that you disturb them as little as possible. 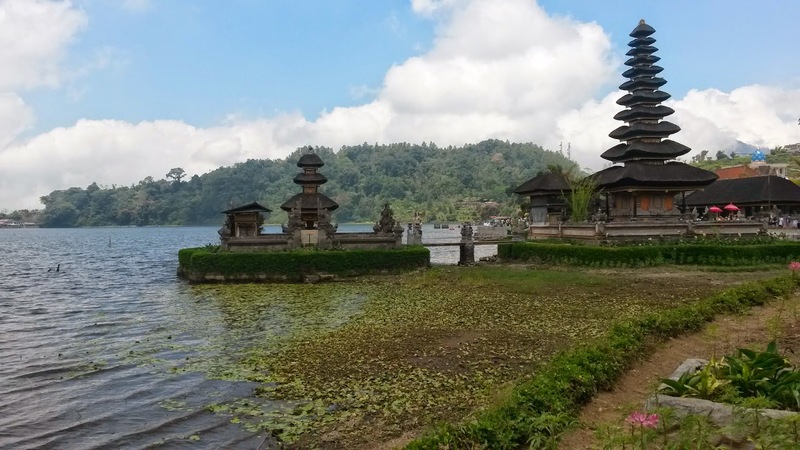 Then we went on to Bedugul, and more specifically Ulun Danu Bratan. I was a bit disappointed, not by the size of it - I expected it to be small, but it was still worth a detour - but by the crowd there. There is a lot of tourists, probably as much as Tanah Lot, but at least at Tanah Lot you have enough room to move around without bumping into other tourists. On the way back to Ubud, keep your camera handy, as the scenery is really beautiful. Actually, that is some advice that you should always keep in mind. As I said in the introduction, everything is beautiful in Bali, and not just the parts you have to pay to see, so always keep your camera close. After my goodbyes to Mawar and his family, my chauffeur took me to Besakih to see the Mother Temple. Be careful, as it is on the way to the Kintamani geopark, you might be stopped for money at the entrance. Just say that you are not going to the geopark, and you should be fine. 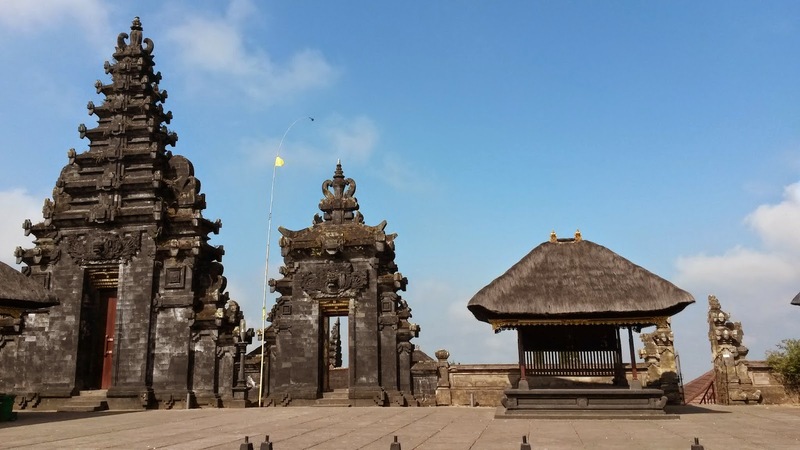 I was warned about Besakih, and my chauffeur also briefed me before dropping me off, but in this temple, unlike any other temple I went to, Balinese people see this place as a cash machine from tourists. First, even if you are decently clothed, you will have to rent a Sarung, which in my case wasn't even a Sarung, just an ugly wool scarf for 20000 Rp. Then, at the first stop point, one guy takes your ticket and asks for a donation. Of course, he has a book with supposedly previous visitors and the amount they "donated", which is usually around 300 000 Rp. I only gave 60 000 and it was ok. Then, a girl shoves into your hands offerings, saying that you cannot enter the temple without it, and it is supposed to cost 100 000 Rp. I gave them back and was still ok. Then a guy came up to me and said: "I'm not a guide, I'm a guardian, you cannot enter without me", but I politely declined - without too much eye contact, and went on my way. Once I entered the temple, another guy said the same thing, and told me that previous tourists gave him 5 euros. I said I only had 20 000 Rp, and he was ok with it. After a half hearted explanation about the temple, he left on the main square, told me that from there I could go wherever I wanted, which was not true, as I got kicked out of one part of the square where people were supposed to be praying but were in fact only socializing. After all that, I didn't want to explore that much, even though the temple is huge and has a lot to offer. So I'm not sure what to advise you. Going on a tour with a real guide that can tell you and show you everything you need might be a good option, but you will be surrounded by more tourists than locals. As for the hour of the day to go, I went in the early morning, which was nice because the "guardians" were not as aggressive as they can be by the end of the day, but the sunlight is against you, so again, choose wisely considering what you want to see. After this, we took the road to Amed. I usually never go to TripAdvisor, because I want to have my own opinion and discover my own places, and surely, make my own mistakes. 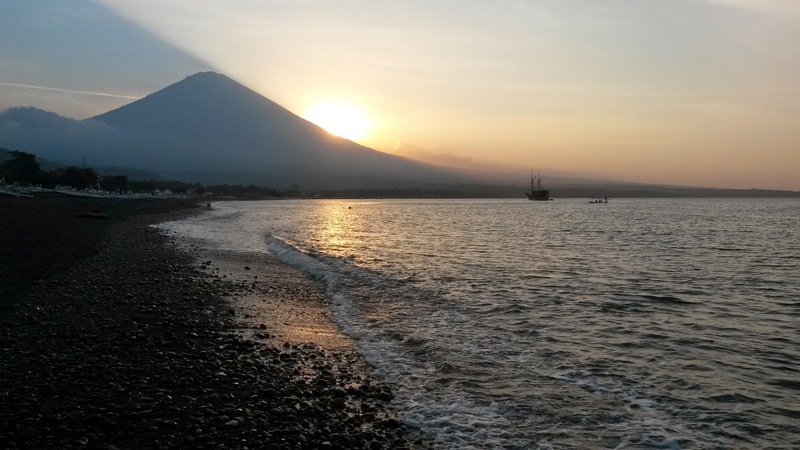 But this time, I made an exception, because I wanted to choose the best diving center in Amed, and I'm so glad I did. I chose Adventure Dives, which is number one on TripAdvisor for a reason. First of all, it is not right at the entrance of Amed, so you can avoid all those touristy places that are an easy choice when you don't want to drive too much. And yet it was central enough to have delicious Warung not too far away, and good hotels as well. 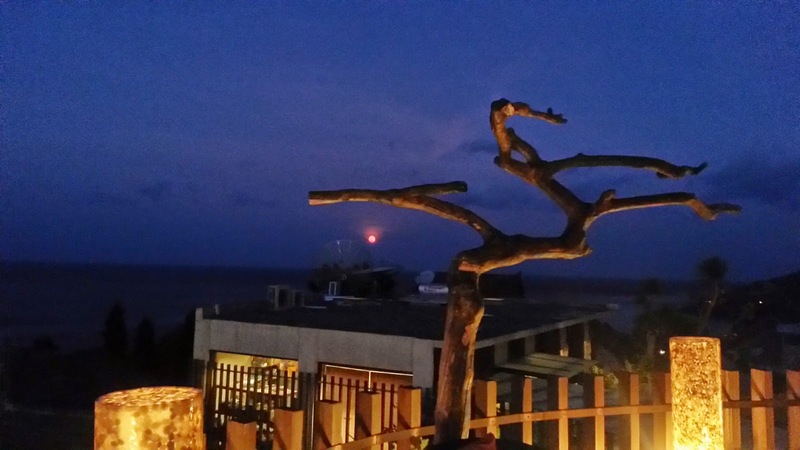 When I arrived, I didn't know in which hotel I would stay, but I knew which dive I wanted to do. So basically I arrived at the dive center, and I was immediately greeted by Lisa, the owner, who treated me like a long lost friend. I was able to book the early morning dive to the USAT Liberty, which was my goal for Amed, and she also directed me to nice places to eat. Lucky for me, the hotel across the street from the center only had one villa left, and it was 1. the best one, that is to say the one closest to the pool AND the sea, and 2. in my price range, that is 250 000 Rp per night. After waking up at 4:50 AM - I definitely woke up at weird hours during this trip - David, manager of Adventure Dive and his dive masters took us on the bus to Tulamben for the two dives on the USAT Liberty. No need to tell you that it was amazing. On the first dive we dove around the ship and the second dive was more about exploring inside the ship, which meant diving in small spaces which is always pretty cool. Of course, it is so amazing and so easy a dive that it gets very busy. By the end of the second dive, there was a forest of plastic fins all around us, and you then understand why Adventure Dive goes in the early morning. When we came back, a complimentary early lunch was waiting for us, and it was then time to socialize. Lisa and David arranged this space at the Dive Center where everyone meets up and talk about their experience. It is so comfy that even though I lived across the street, I wouldn't leave. That's how I met this American blogger, Young Adventuress, and this Australian traveller, another woman travelling on her own, just like me, who quickly became my dinner partner for the next two nights. So after arranging for some other dives the next day, I got changed and we went to Sails, a very nice restaurant with a view of a secluded bay just outside of Amed. Very good food and they pick you up and drop you off. Today was the last day, but I intended to make most of it. AS it takes roughly 3h to go from Amed to the airport, I decided to wake up before sunrise to snorkel one last time in the bay. 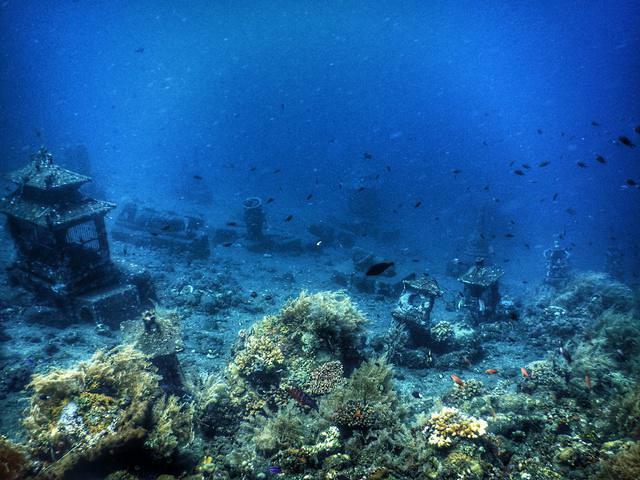 As I couldn't take picture of the Coral Garden in Tulamben, I really wanted to see the small temple that was accessible from the beach. And I was not disappointed, even though it's not as cool as the one in Tulamben. Besides, it was really nice to see the sunrise from the sea. And that was it for Bali. It was really in a nutshell, and I'm pretty sure there are loads more to see and do. 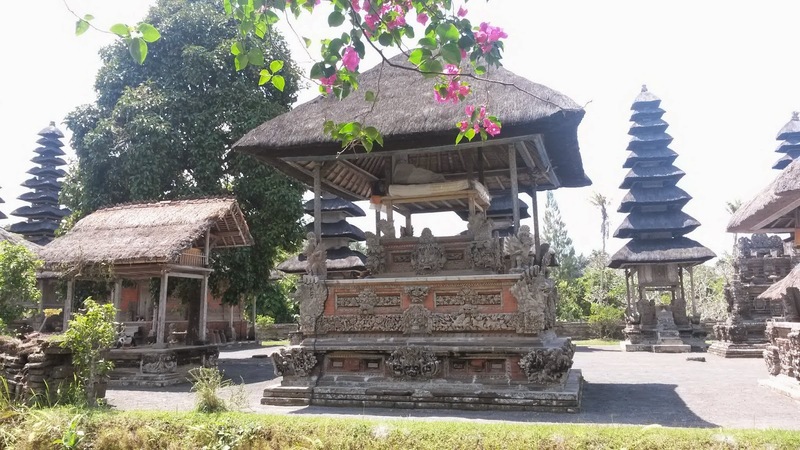 In Ubud itself, I could have taken a yoga class, a cooking class, a jewellery making class... 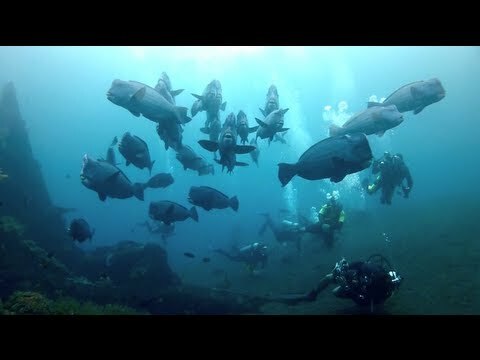 I could have done plenty of other dives, could have explored the west... So the good thing is, I leave plenty of stuff to do for when I come back! One last piece of advice. If you are like me and never print your e-ticket because there's never any need for it, be careful, as at the airport, security checks e-tickets (not passports) before check in, which in my opinion is pretty stupid, but that's the way it is. I got away because thankfully they have wifi (they have wifi everywhere, in Bali) and I could show the guard the confirmation email, which as we will all agree has no value per se, but he was happy with it and I could go on with the actual check in. I know that there are many of you out there who spent more than a week in Bali. What was your itinerary? What was your favorite place?